Day One of American Mosaic | NJNA is Blogging! Well, I have returned from six hours of stitching, feeling exhausted,. Gail Sirna is an excellent teacher, but she is trying to cover 12.3 states a day. 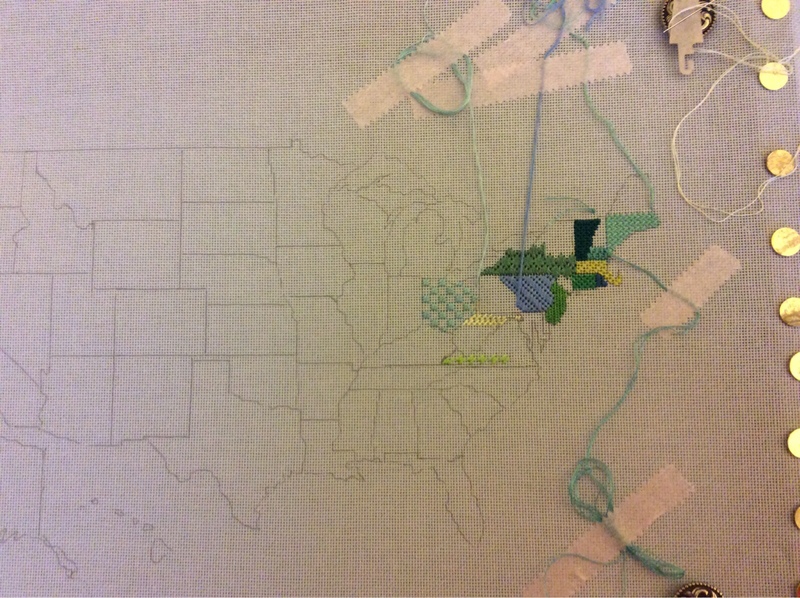 We have Delaware for homework to make it our 13th state. I have only completed five of the twelve that she taught today. So I have extra homework tonight. That looks fabulous. What a great concept.